So i have been without a vehicle since October. Using my moms 98 explorer with almost 300k miles to get back and forth to work at night. I finally got my income taxes back in and took my check and got this for a family friend. I still owe $400. I paid $1100. 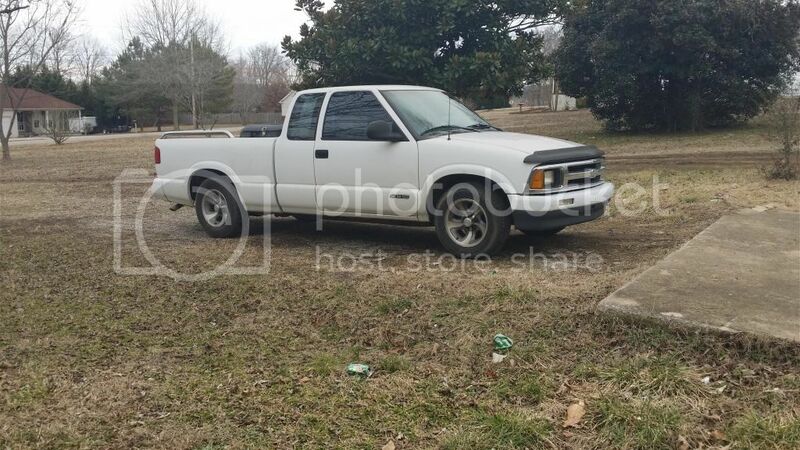 It;s a 1996 extended cab s10. 143k miles. 5 speed. 4.3 vortec Needs a 02 sensor. It just had new tires put on. So far i like it. Nothing fancy.